Now in its 80th year, the DC Chamber of Commerce was initially formed to provide support and services for African–American businesses in the city. In 1956 the Chamber changed course and expanded its operations to address the needs of all District businesses. 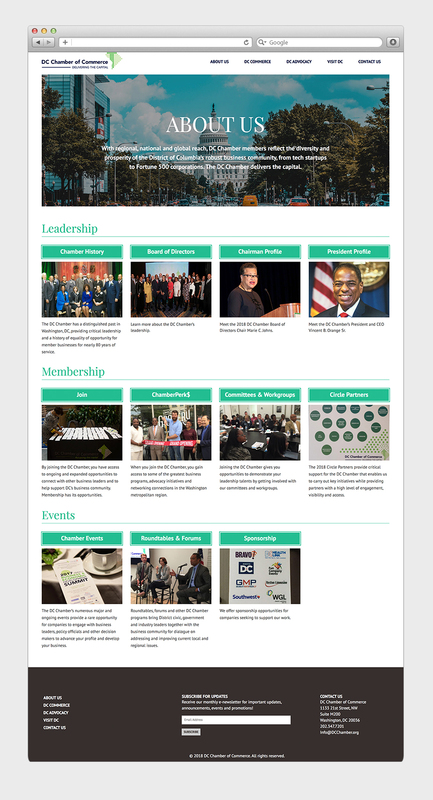 As part of its celebration of mission and longevity, the Chamber asked Seaberry to create a new web experience for its members and for all those seeking to connect with or conduct business in the District. The new site reflects the Chamber’s commitment to “Deliver the Capital” to business and citizens. 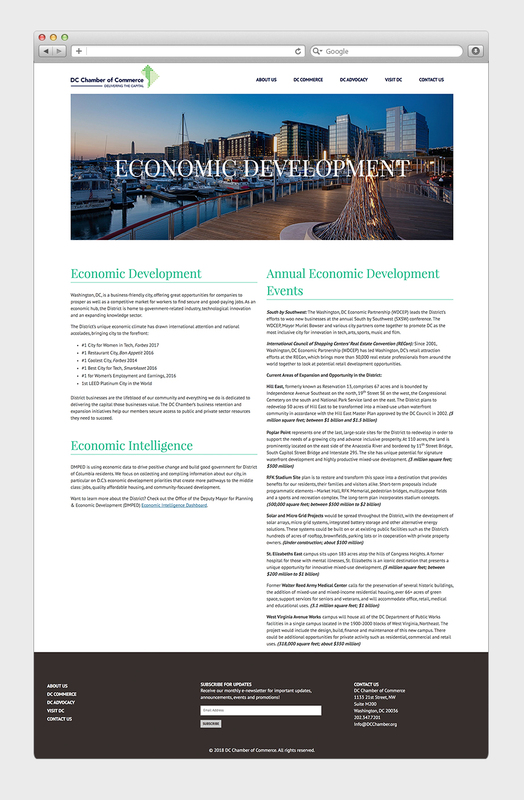 Introducing the three pillars of Chamber service —Commerce, Advocacy and Tourism — was a major focus of the design effort. Visitors can navigate to any section of the site via the top navigation or by scrolling the home page. Once the choice is made, visual elements help guide visitors deeper into the site. Designer Cherisse Lu felt it was important to rely on visual cues. In this case, the site uses boxes to encapsulate information that is important to the viewers as guides to section content. Because the Chamber has a lot of information to share, scrolling through text would be tedious and time consuming. 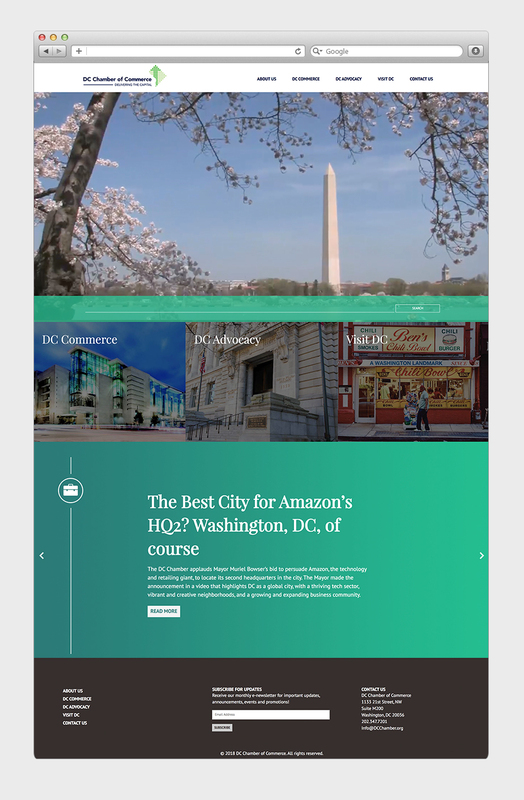 The Chamber sees itself as the entry point for all things D.C., from investment to tourism to business advocacy, and the site’s opening video, produced by Comcast, gives visitors a sense of the District's rhythm and pulse. It features the bustle of business, the gravitas of government and enigmatic monuments that draw visitors daily. 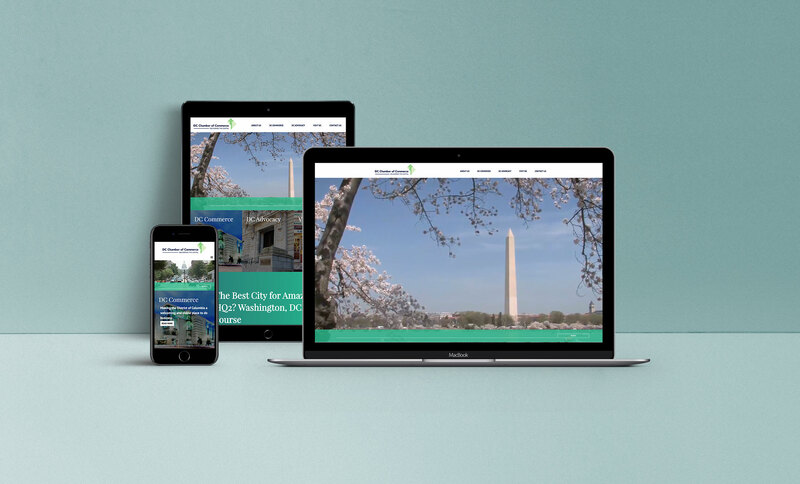 With so much to share, the Chamber's mobile-friendly site maintains an open and airy feel to avoid sensory overload and provide a responsive and fulfilling visitor experience.